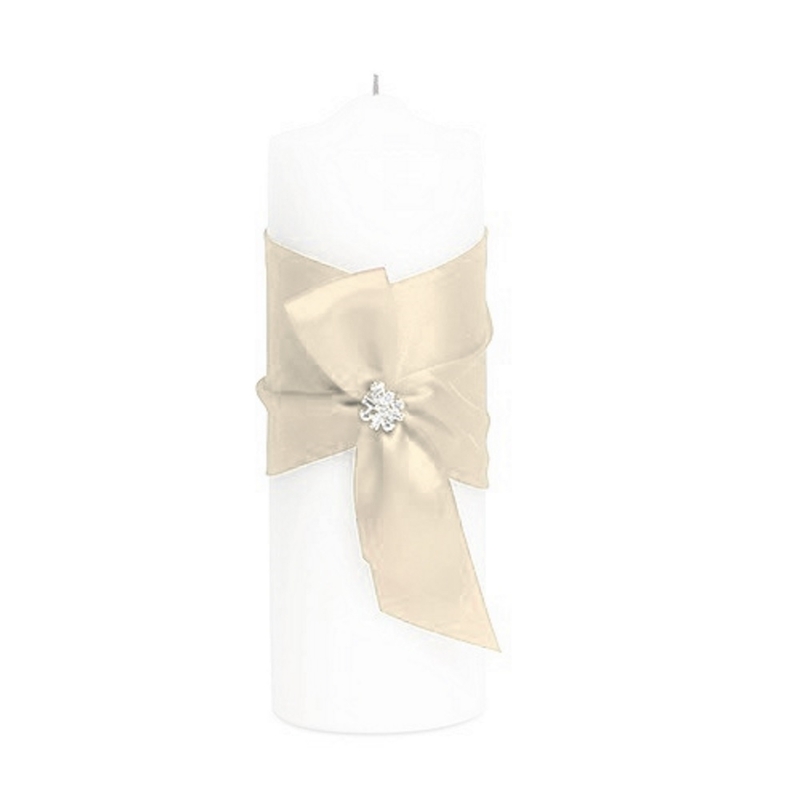 This candle is wrapped in an ivory satin ribbon that is pinched together with a jeweled brooch. The ribbon along with the jewel complements any wedding theme ivory is a versatile color that will combine well with just about any wedding color schemes. This unity candle measures 3' x 9' (h). Lighting the unity candle marks the moment of unity of the bride and groom. It is a time-old tradition that ‘seals’ the ceremony with a visual component to this special union. For that reason, a unity candle must be impeccable and beautifully embellished as it will be the center of attention. It will be seen by all and will appear in photos that immortalize the magical day. The Bejeweled Ivory Unity Candle is all of the above.